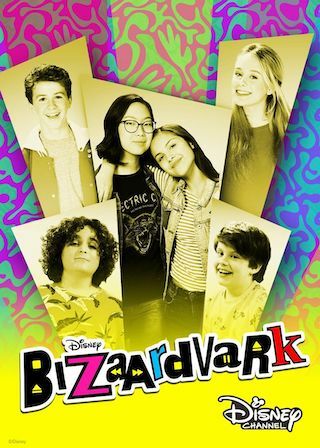 Bizaardvark is a 30 minute scripted music television series, which kicked off on June 17, 2016, on DisneyNOW and is broadcast every Thursday at 03:00. The show is currently in its 3th season. DisneyNOW opted not to pick up Bizaardvark for Season 4. Bizaardvark officially canceled on DisneyNOW. Sign up to track down your favorite TV shows. The series follows Paige and Frankie who write funny songs and create music comedy videos for their online channel, Bizaardvark. Now with 10,000 subscribers, they are invited to produce their videos at the influential Vuuugle Studios. In this cool environment  and with the help of longtime friend and 12-year-old agent Bernie, plus fellow Vuuugle stars Dirk (of "Dare Me Bro!") and Amelia (of "Perfect Perfection with Amelia")  the best friends embark on comedic adventures in their quest to rule the blogosphere.